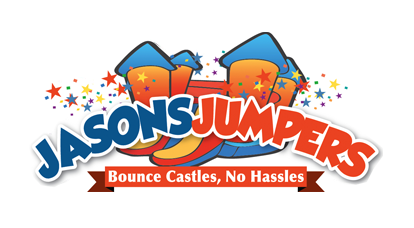 If you are looking to rent a dunking booth in the Greater Philadelphia area you have come to the right place. Our dunk tanks are measure roughly 12ft long by 7ft deep by 8ft high and hold about 500 gallons of water. 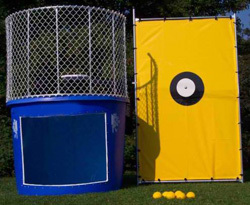 As pictured below our dunk tank features brilliant colors of blue and yellow. Please click here for pricing and availability or to book this unit online.